The Department of Posts, trading as India Post, is a government-operated postal system in India. 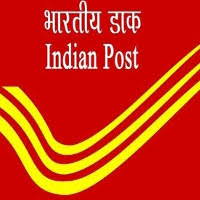 Generally referred to within India as “the post office”, it is the most widely distributed postal system in the world. The postal service is under the Department of Posts, which is part of the Ministry of Communications and Information Technology of the Government of India. (i) Possession of a valid driving license for light & heavy motor vehicles. (ii) Knowledge of Motor Mechanism (The candidate should be able to remove minor defects in vehicle) (iii) Experience of driving in light & heavy motor vehicles for at least three years (iv) Pass in 10th standard from recognized board or institute.